Sadly, thousands of American seniors fall and injure themselves every year. Although not all of the injuries are serious, some of them are. Thousands of elderly individuals end up in a hospital as a result of falling on an annual basis. Even more disconcerting is that these tumbles can even end up being fatal on occasion. As a provider of elderly care, one of our goals is to do everything in our power to help seniors avoid falling down and getting injured. It all starts with having a safe home, and the Center for Disease Control has identified several key problem areas that should be addressed in the household of every senior citizen. The full list can be found right here, but there’s a few key issues involving steps and stairs that we’d like all of you to be aware of. 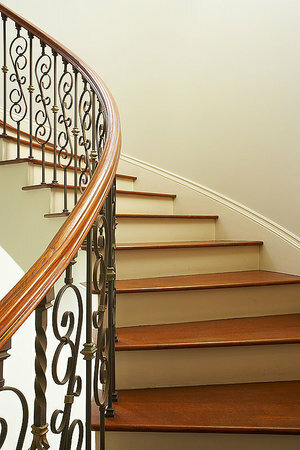 Take a look at any stairs inside or outside of your loved one’s home and assess the safety levels of them. If they’re cluttered with papers, shoes, books or other paraphernalia then clear the obstructions and make an effort to permanently keep the walking space clear. Now that you can actually see the steps, check if any are broken or uneven and get them repaired when necessary. Speaking of seeing, making sure that all lighting fixtures over steps or stairs are working properly is another essential safety precaution. Additionally, if there is only one light then you should consider installing another one to brighten up the entire area. Finally, fix any loose or busted handrails and install new ones if there aren’t any. With these elderly care steps taken, the likelihood of a fall occurring will be significantly decreased.